Duchess Kate hit the town Wednesday night for the 100 Women in Finance's gala dinner in a jaw-dropping Gucci dress that was all in ethereal shades of pink. The mom of three accessorized with a maroon velvet clutch and belt, as well as dangly earrings. (Chris Jackson/Getty Images) Catherine, Duchess of Cambridge, patron of 100 Women in Finance's Philanthropic Initiatives, attends a gala dinner in aid of Mentally Healthy Schools at the Victoria and Albert Museum, Feb. 13, 2019 in London. Heads Together is the charitable campaign founded by Prince William, Duchess Kate and Prince Harry which aims to change perceptions about mental health and encourage overall mental well-being. Mental health has been one of the key focal points of the William, Harry and Kate's charity work as royals. 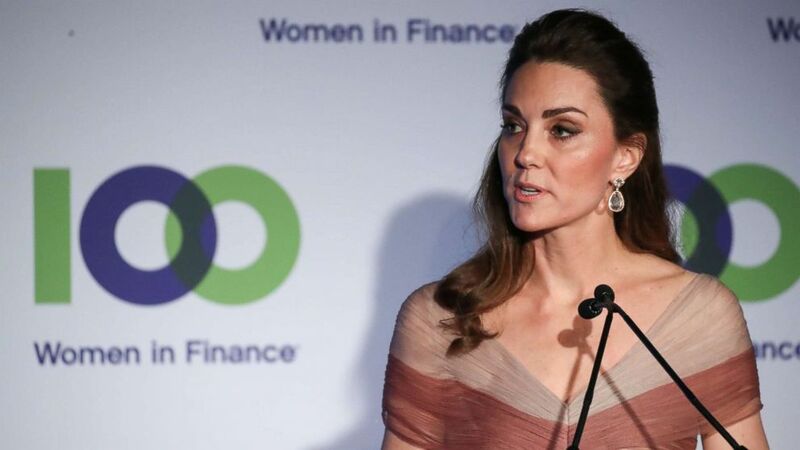 At the 100 Women in Finance's gala, Kate spoke about Heads Together's program, "Mentally Healthy Schools," which aims to bring better mental health care initiatives to U.K. school children and support parents and educators. 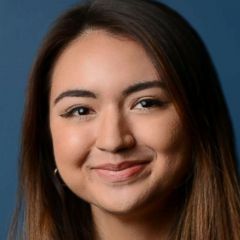 "The first few years of a child’s life are more pivotal for social, physical and emotional development, and for future health and happiness than any single moment in our lifetime,” she said at the event.